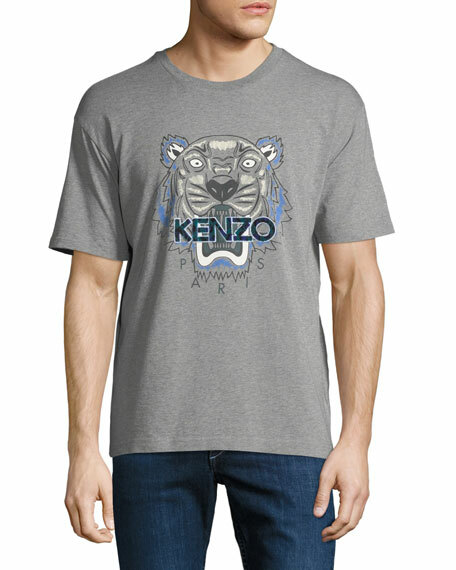 Kenzo T-shirt with leopard tiger graphic. Balmain oversized T-shirt in beach club print and ripped-hole detail. Crew neckline. Short sleeves. Pullover style. Cotton. Imported. 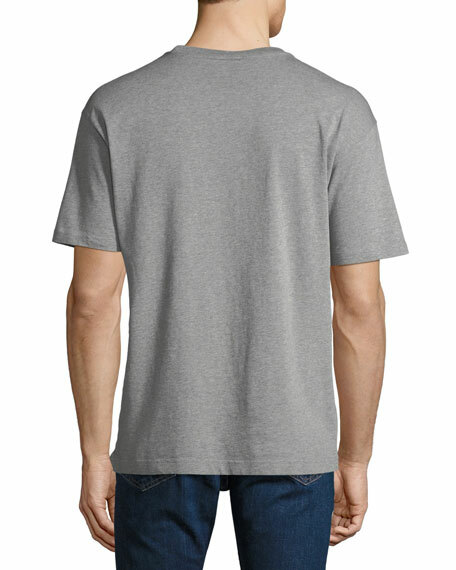 Diesel T-shirt with front 90s logo graphic patch. Crew neckline. Short sleeves. Pullover style. Cotton. Imported.